There is a serious lack of good Asian food here in Georgia. My skills and recipe rotation in that particular genre have expanded quite a bit. 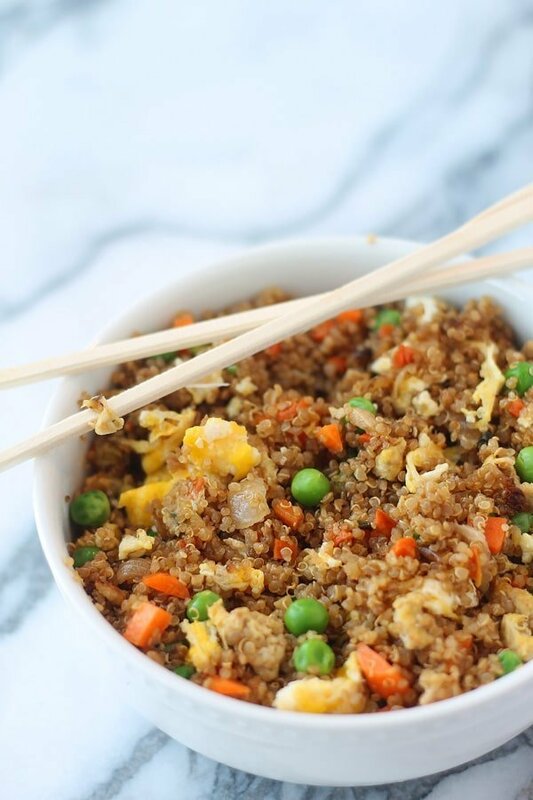 A friend had posted her review of this recipe and I thought it sounded good and a better alternative to the regular fried rice. My hubby who has been a bit wishy-washy about me using quinoa gave a big thumbs up for this recipe. I love how filling it is and how much healthier it is. We paired it last with some teriyaki grilled salmon and broccoli. A wonderful and light alternative to the traditional Chinese food fare. The only changes I made to this recipe were to change out the peas for edamame and to add half a block of extra firm tofu which I added before the veggies to give it a chance to brown a little. 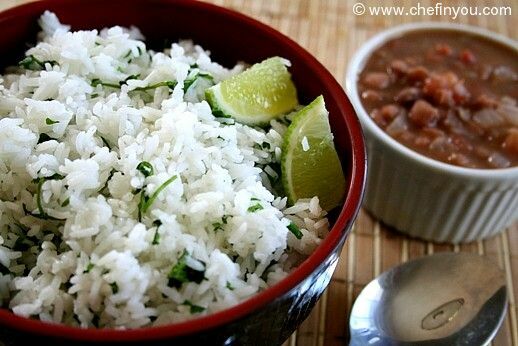 Use gluten free tamari to make this a gluten free dish. Way back in January my hubby flew to California with our then 15 month old son. It was a bit of a frenzy to plan and pack for my son. 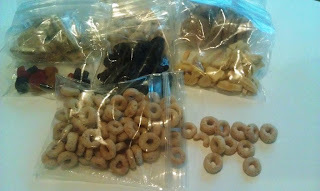 I sent an abundance of snacks that would hopefully help my little man not be so crazy during the flight. But I didn't want to send snacks in bags that were too big and easy to spill because that was going to be a big mess for everyone. So I used my trusty Food Saver to make the snack bags I had on had just a little smaller. I think they turned out so cute and they were just the perfect size for my little man. Here's how to make them. 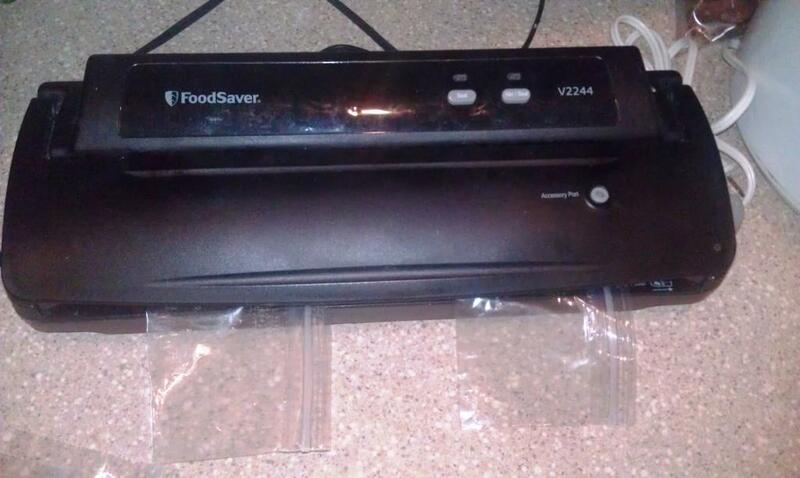 Place your snack bags just shy of half way on the sealer of the Food Saver and hit seal. 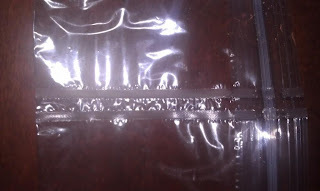 After it finishes the first seam, make an identical seam just next to the last one. Cut in between the two seams you have made. Fill your little snack bags up and enjoy. Or if you are my child, laugh like a crazed maniac when mama tells a silly joke. Yeah, she's a character. I've complained before about how there is no good Chinese food here in Georgia. I shall say no more on that point. 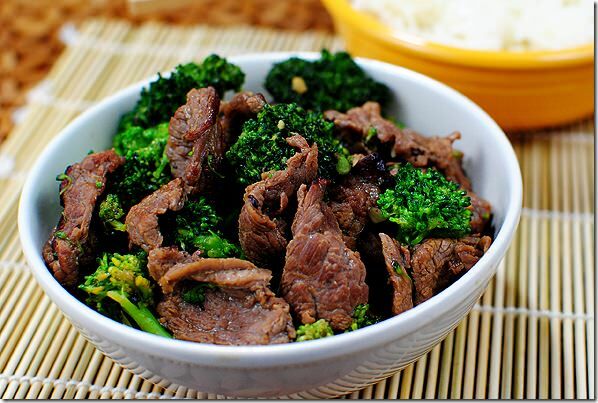 I happen to love broccoli beef and this recipe was so good and super fast. It made my night...and lunch the next day. I won't say anymore but put this onto your make-it list, right now! 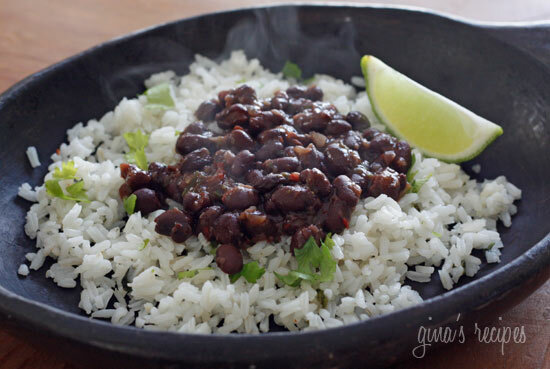 As always, you can substitute gluten free tamari for the low-sodium soy sauce in this dish. Growing up I loved going to Disneyland and then California Adventures opened and they had a sourdough factory. Oh man, I was in heaven. There are few things I enjoy more than some toasted sourdough with butter. 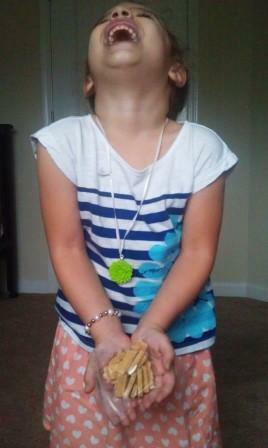 Making bread has always alluded me. I had tried a couple times and failed but then Annie over at Annie's Eats posted an updated version of her sourdough recipe and I knew I had to give it another try. So I did and that first loaf of sourdough that came out was pure deliciousness. That loaf of bread never stood a chance against me and my husband. I think it lasted half a day. But, it's summer and, I've mentioned before and I will say it again, I am not going to use my oven unless I really need to. 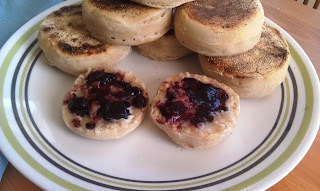 Sourdough English muffins to the rescue. I can get my sourdough fix without heating up the oven. Thank goodness! Oh, and if you need something else to make with that sourdough starter for the summer check out Annie's sourdough waffles. I eat those straight up, right off the waffle maker. If I have patience I might spread some jam on them...but that's just if. After the overnight rest, add the remaining flour, sugar, salt, and baking soda and mix well. Turn onto a lightly floured board and knead 4-5 minutes. Roll out to 3/4" and cut into rounds. You can re-roll the scraps but you need to let the dough rest at least 10 minutes before cutting more muffins from them. Place muffins on a piece of parchment or cookie sheet dusted with cornmeal. Let rest for 45 minutes. I am a big advocate of having lots of sides with a meal. Especially if the sides are lighter and veggie filled. It's helped my husband and I lose a little weight, feel better, and stretch our meal budget a little bit more by not eating as much meat but still feeling satisfied. These enchiladas are one of our go to versions. It is tasty and comes together easily. The sides are some of our all time favorites. 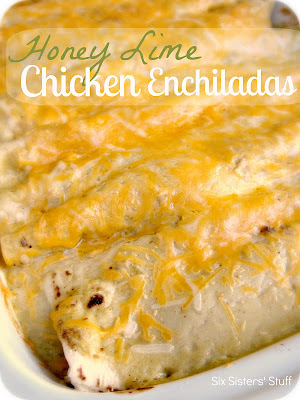 I make them a ton because we eat Mexican food a lot. These are pretty quick and also super delicious. Serve these with some corn on the cob sprinkled with paprika, salt, and pepper and your choice of fruit.